What are your big plans for 2019? Have you made any resolutions or set any goals to carry out in the new year? Why not get out of your old ride and into a new one with a lower payment? The Year End Closeout has officially begun at Toyota of N Charlotte and we’re bringing you our best deals of 2018 on both new AND used cars. You don’t want to miss our biggest and final sale of the year – these prices won’t be on the table for long! Our new Toyota deals and used car prices are better than ever at Toyota of N Charlotte! And so many more. Hop behind the wheel of a new Toyota Tundra, new Toyota Prius, new Toyota C-HR, new Toyota Sienna, and more during Toyota of N Charlotte’s Year End Closeout! Do not miss our Year End Closeout deals! And we’ve got plenty of other used Toyotas, as well as used cars of other makes! All you have to do is schedule your test drive and come down to take a look at our amazing used car inventory. Don’t miss the BIGGEST and FINAL sale of the year at Toyota of N Charlotte – we’re ready to make 2019 your best year yet! Call (704) 875-9199 to schedule your test drive or come on by. We’re at 13429 Statesville Road, just off I-77 at exit 23. 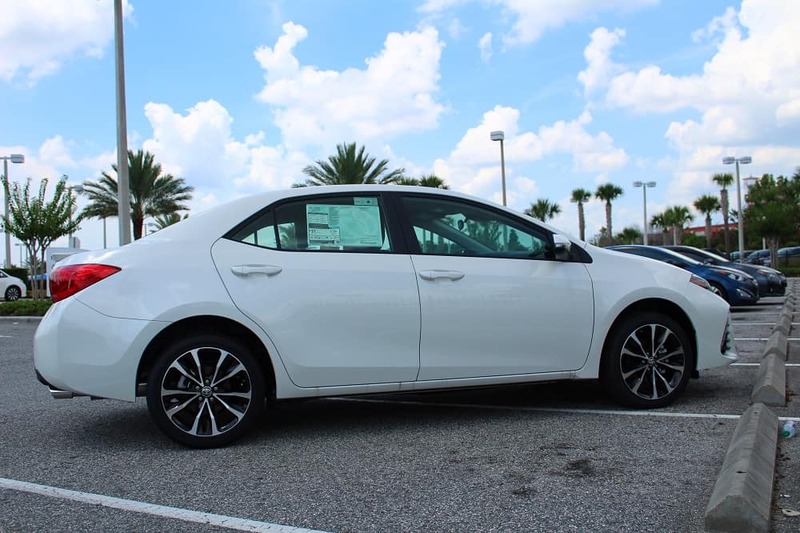 New 2019 Toyota Corolla LE (1852) Stk #: 9180164 “Advertised lease” for $149/mo for 36 months plus sales tax, other taxes, tag, registration, tag agency/electronic filing fee, and government fees. $4,210 due at signing, includes $3,362.50 down payment, $698.50 dealer fee and $149 first month’s payment. Option to purchase at lease end $12,218.90. Excess mileage at $0.18 per mile over 12,000 miles per year. Total lease payments of $5,364. $0 security deposit. $350 disposition fee at lease end. Closed end lease on approved credit through S.E.T.F. , min 720 Beacon score. Good through 01/07/2019. 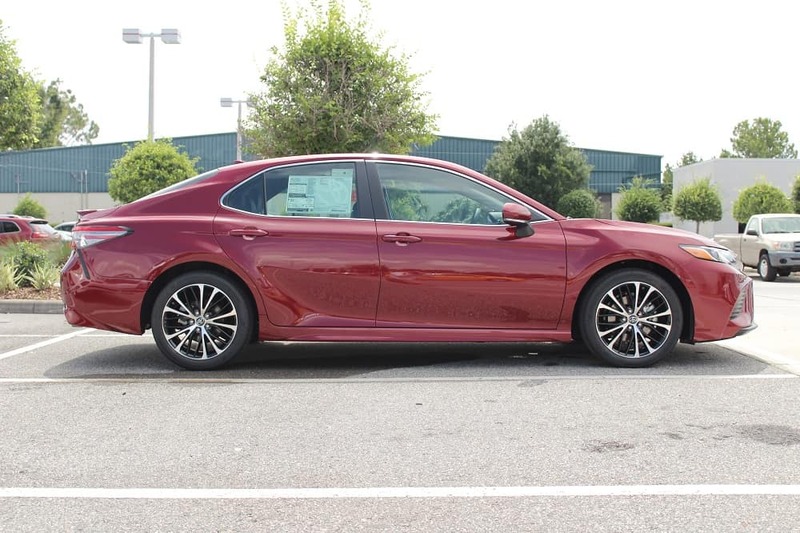 New 2019 Toyota Camry LE (2546) Stk #: 9250051 “Advertised lease” for $169/mo for 36 months plus sales tax, other taxes, tag, registration, tag agency/electronic filing fee, and government fees. $5,750 due at signing, includes $4,882.50 down payment, $698.50 dealer fee and $169 first month’s payment. Option to purchase at lease end $16,409.25 Excess mileage at .18 per mile over 12,000 miles per year. Total lease payments of $6,084. $0 security deposit. $350 disposition fee at lease end. Closed end lease on approved credit through S.E.T.F. , min 720 Beacon score. Good through 01/07/2019. 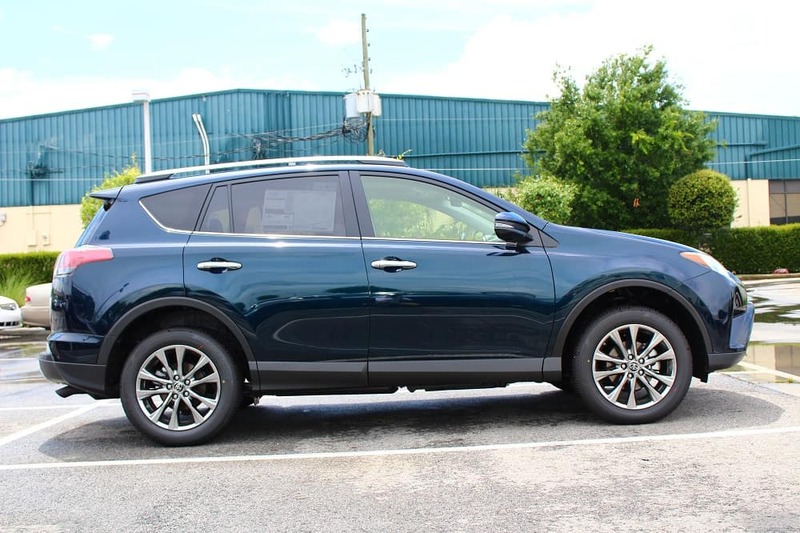 New 2018 Toyota RAV4 XLE Model (4440) Stk #: 8440506 “Advertised lease” for $189/mo for 36 months plus sales tax, other taxes, tag, registration, tag agency/electronic filing fee, and government fees. $4,488 due at signing, includes $3,600.50 down payment, $698.50 dealer fee and $189 first month’s payment. Option to purchase at lease end $18,496. Excess mileage at $0.18 per mile over 12,000 miles per year. Total lease payments of $6,804. $0 security deposit. $350 disposition fee at lease end. Closed end lease on approved credit through S.E.T.F. , min 720 Beacon score. Good through 01/07/2019. 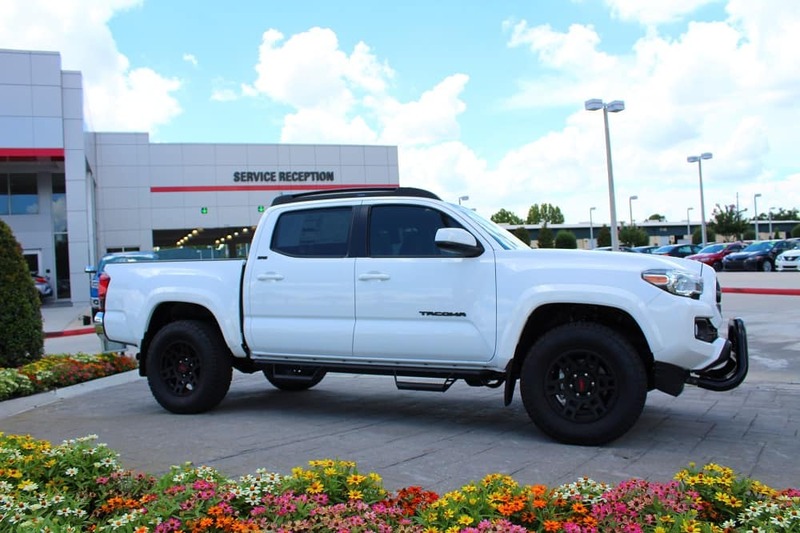 New 2019 Toyota Tacoma DBL Cab V6 (7146) Stock#: 9710004 “Advertised lease” for $199/mo for 36 months plus sales tax, other taxes, tag, registration, tag agency/electronic filing fee, and government fees. $5,350 due at signing, includes $4,452.50 down payment, $698.50 dealer fee and $199 first payment. Option to purchase at lease end $24,783.60. Excess mileage at $0.18 per mile over 12,000 miles per year. Total lease payments of $7,164. $0 security deposit. $350 disposition fee at lease end. Closed end lease on approved credit through S.E.T.F. , min 720 Beacon score. Good through 01/07/2019. 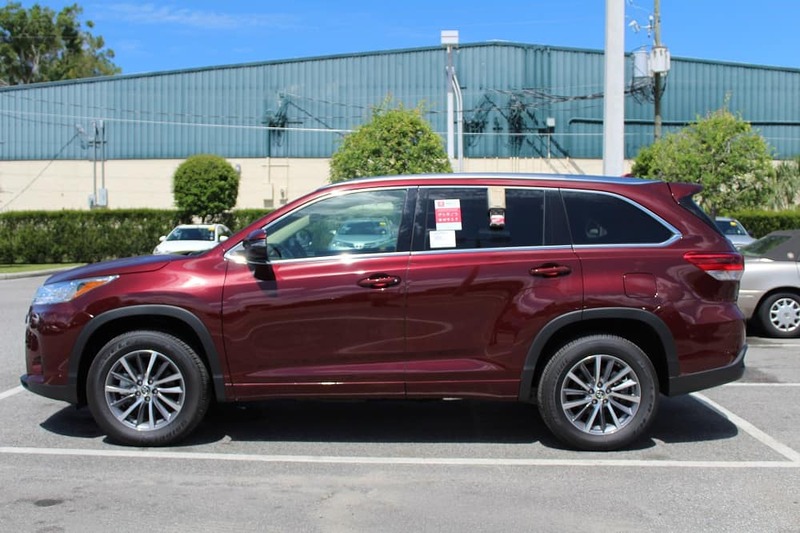 New 2019 Toyota Highlander LE Plus (6947) Stock#: 9690012 “Advertised lease” for $269/mo for 36 months plus sales tax, other taxes, tag, registration, tag agency/electronic filing fee, and government fees. $8,995 due at signing, includes $8,027.50 down payment, $698.50 dealer fee and $269 first payment. Option to purchase at lease end $22,353. Excess mileage at $0.18 per mile over 12,000 miles per year. Total lease payments of $9684. $0 security deposit. $350 disposition fee at lease end. Closed end lease on approved credit through S.E.T.F. , min 720 Beacon score. Good through 01/07/2019. *All advertised vehicle prices exclude tax, tag, registration, title and Dealer Fee (*Administrative fee of $698.50), *in order to provide the highest quality service to our customers, this dealership charges an administrative fee in the amount of $698.50 in connection with the advertised sale or lease of a motor vehicle. Customers elect special APR program or S.E.T/Dealer cash back when available. Advertised prices are not applicable on lease vehicles. Advertised prices cannot be used in conjunction with special APR programs. Down payments and APRs will vary. Vehicles shown are for advertising purposes only. Actual vehicle color may vary. All vehicles subject to prior sale. Prices good through 01/07/2019. Negative equity on trades can affect savings/credit approvals. Pre-owned vehicles may be subject to factory recalls. Go to NHTSA’s website to search by VIN# at www.safercar.gov.